Survey: People have negative views of I-66 and Metro. Shocking, right? As a transportation columnist at The Post, I’m sort of the Dear Abby of traffic, responding to commuters’ often-emotional encounters with our transportation system. So a newly-released survey involving travelers’ perceptions got my attention. 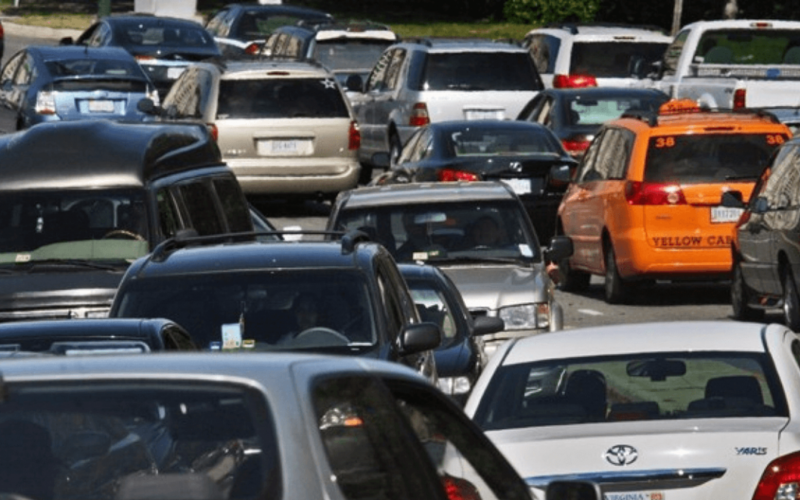 To help develop a long-range transportation plan, the Northern Virginia Transportation Authority polled people in its portion of the D.C. region about how they see our transportation issues. Apparently, things are looking a bit gloomy. Among those responding who were aware of local travel issues, about half said they had heard something negative. Setting the pace on negative news that people remembered: Metro and I-66. About 45 percent recalled something negative they had heard about the transit system and the interstate. With Metro, it might have been the decline in ridership, the travel disruptions and the weekend track work. With I-66, the dominant news issue was the Virginia Department of Transportation’s plans to add tolls. The portion inside the Capital Beltway would get tolls without getting more lanes. Nothing else was close to those two issues. But one out of five people surveyed who had heard something negative about the local transportation system cited a road network that can’t support the region’s growth, and 18 percent had heard mention that we have some of the worst traffic congestion in the nation. Nearly one in four among the upbeat crowd also had heard something them deemed positive about I-66. They also had picked up on news about the high-occupancy toll (HOT) lanes plan, but saw some potential benefit, such as the possibility that I-66 eventually would be widened inside the Beltway. What I take from these results is that the future of the transit system and of I-66 are the most discussed parts of the Northern Virginia transportation scene this fall. As they sort through the details, they pick up on complaints about Metrorail’s performance and on the possibility that they’ll have to pay tolls on the interstate. The negatives are coming at them faster than most of the things they perceive as potential positives. Metro really is under-performing, and tolling inside the Beltway is likely to start in 2017. What does a good transportation system do? The respondents were asked for three words that describe the ideal travel experience. The words most often mentioned were quick, smooth or easy, safe and predictable. I like the idea of asking people that, because in the middle of all our debates over transportation projects we often lose track of what we’re trying to accomplish. Then they got asked about the flip side. “Imagine that you are describing your typical travel to someone from outside the region. What three words best describe your typical travel experience?” The top responses: slow and congested, unpredictable and frustrating. The thing I notice here is that you could apply those words just as well to a drive on I-66 or a ride on the Orange Line. So now what? The survey “serves as a reality check on our current transportation system and a compass for actions we should consider to make future travel faster and easier,” said transportation authority Chairman Martin E. Nohe, also a member of the Prince William Board of County Supervisors. Thanks to changes in Virginia’s transportation financing law several years ago, the transportation authority now has an estimated $300 million a year to contribute to transportation projects. Upgrade arterial roads like Leesburg Pike and the Richmond Highway, provide new or improved rail lines like the Silver Line extension and the VRE extension to Gainesville and Haymarket, upgrade and expand local transit services like buses, create new highways and widen others, expand use of tolls to manage travel demand on roads at busiest times of day, and provide new or better bike paths and bike lanes. Robert Thomson is The Washington Post’s “Dr. Gridlock.” He answers travelers’ questions, listens to their complaints and shares their pain on the roads, trains and buses in the Washington region.